Say THAT three times fast! When it comes to green beans, I can honestly take them or leave them. In that green bean casserole we made awhile back, I can absolutely take them. Oh man, that was to die for. Outside of that, I’ll take them in an occasional salad, but it’s just not a vegetable I’m going to go looking for anytime soon. But then there was this salad. This Fresh Green Bean Salad with Crumbled Feta Vinaigrette. And we were back to liking green beans again. First, there was the feta. It’s the only cheese I’m eating right now, and I love a great feta vinaigrette. And then the crunch of the green beans, fresh from the farmer’s market. And then the fact that this week’s Summerfest 2010 ingredients are herbs, greens, and beans. It all came together rather perfectly. In some karmic sense of food balance. This recipe made a great addition as a side to a chicken wrap that we had for lunch (whole grain wrap, spinach leaves, tomatoes, avocado, sprouts), and for dinner, it would be perfect alongside a nicely grilled steak or chicken. Just a few minutes to whip together, absolutely packed with flavor and a guilt-free dish you can savor with every bite. Sign me up. 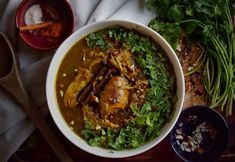 For other inspiration on herbs, greens or beans, be sure to check out all the participating blogs below, and we’d love for you to join in on the fun; you can check out the details here. Margaret at A Way to Garden stores a year of herbs—and makes one-pot Farinata a polenta dish with greens. Leftover Herb Solution (Pesto!) from Allison at Food2. Recipes for The “Other” Summer Greens from the FN Dish. Jennifer and Mark at Gilded Fork have a virtual garden of recipes for basil, cilantro, fennel, lavender, lemongrass, rosemary, sage and tarragon. The recipes include Lavender Pound Cake with Lemon Glaze and Rosemary & Honey-Roasted Pears. Shauna and Danny at Gluten Free Girl and the Chef share great ideas on what to pair with fava beans. The Best Bean Salads and a French Take on Greens, Beans and Herbs from the Cooking Channel. Kelly at Just a Taste with Fresh Herb Ricotta. Tara at Tea and Cookies. Judy at Tuscan Diva with a Fresh Herb Rub. Paige at The Sister Project has Aloha, Presto. Place the olive oil and oregano in large mixing bowl and stir to combine. Season with salt and pepper to taste. Set the seasoned olive oil aside. Bring a large pan of water to a boil over high heat. Add the green beans and 1 teaspoon of salt and cook, uncovered, until the beans turn bright green and are crisp but tender, 3-4 minutes. Drain the beans immediately, then run cold water over them to cool them down. Pat the beans dry with paper towels and set aside. Place the onion and bell pepper in the bowl with the seasoned olive oil and stir to combine. Stir in the balsamic vinegar and feta cheese. Toss the beans with the feta vinaigrette. Just before serving, top the salad with the toasted walnuts and parsley, if desired. I’m the same way with green beans…it would take a truly amazing dish for me to crave them. I’m all about feta lately as well. So who knows, this may just be that dish. The pictures of Maddie are so cute! Great action shots. Wow feta and green beans seem like the perfect combo. Thanks for the tip! I luv green beans and they are one of the few veggies that I can get my husband to eat. Looks good. I’d like to try that Vinaigrette on a salad. I love your photos there, so adorable. I am always in need of a good green bean recipe. This looks great. Love every last bit of this salad. So much so that I’ll probably whip up a batch for dinner tonight. Hip Hip Hooray for Summer Fest! Oh, green beans — how I love them! I found an amazing recipe for them with a lemony mustard sauce… that’s my new favorite way to prepare them. Definitely want to try your recipe soon, though! Yum! What a delicious recipe! The pix of you and your daughter are gorgeous! I have a Maddie too! I always have feta in the fridge. We have a Persian ethnic store near by that offers several different feta varieties very cheaply. So why not indulge? 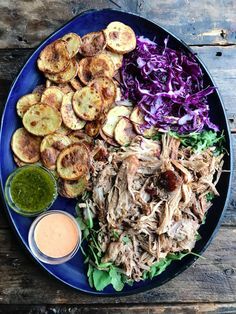 This salad would fit right into our summer menu! What’s not to love about feta, red onion, and green beans (I do love them in almost any incarnation)? My contribution to the Summer Fest is a story and a recipe for a vegetarian Bean Stew. Green beans and feta is a perfect combo! The tang of the cheese and the neutral flavor of the beans work so well together. It looks so refreshing too. 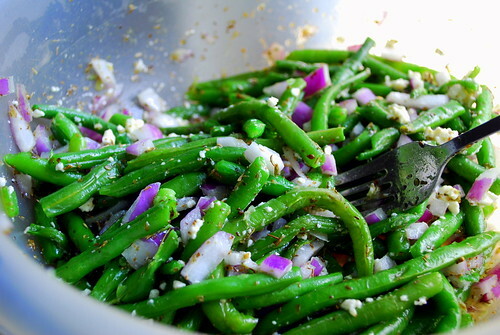 I love the mix of green beans and purple onions in this salad… beautiful! And I love anything that includes feta!